Features: Flexi Electric is optimal for frequent and independent use. Flexi Manual for less frequent adjustment. 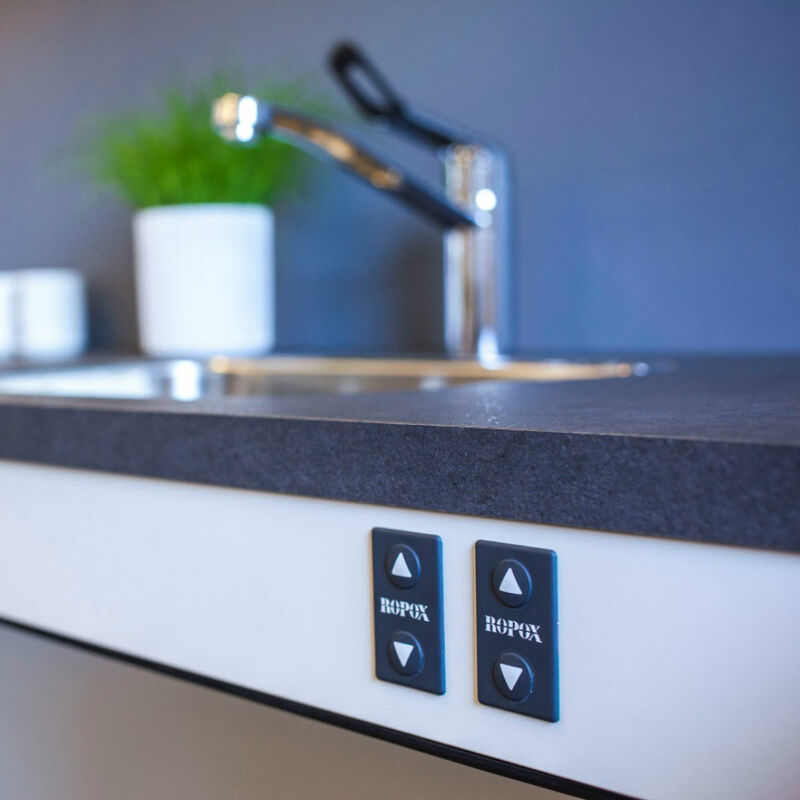 Sinks and cooktops can be integrated in the benchtop. Easy to adjust in height, manually or electrically. Concealment panels can hide the legs and plumbing or use leg covers for extra access space. Smartboxes are used to link safety systems where moving benchtops are adjacent or have wall cabinet systems above. 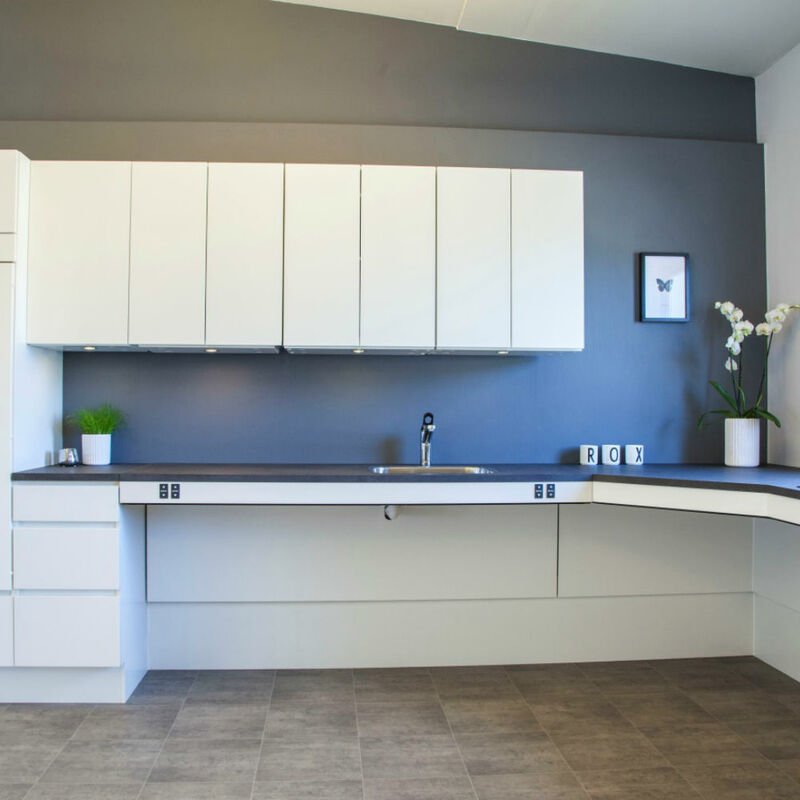 Suits any benchtop in lengths from 800 – 3000 mm. FlexiCorner suits single person use and can be any size up to 3000x3000mm. Application: I deal for private homes, schools, training kitchens, sheltered housing, nursing homes etc.